Part of the two-day celebration of the opening of the Tepper Quad, the inaugural INTERSECT@CMU conference was held Sept. 14. Bringing together industry leaders, innovators as well as Carnegie Mellon professors and researchers, the conference revolved around the intersections of business and technology in society today. The first panel of the day deliberated the impacts of smart homes, smart cities, and smart cars, moderated by Raj Rajkumar, the George Westinghouse Professor of Electrical and Computer Engineering. On the panel were Brian Olsavsky (MSIA 1989), CFO of Amazon; Homaira Akbari (MSIA 1996), president and CEO of AKnowledge Partners, LLC; Jay Apt, Professor and Co-Director of Carnegie Mellon Electricity Industry Center; and Anthony Foxx, former U.S. Transportation Secretary and Founder and Managing Partner of Related Infrastructure. During their discussion, the panel addressed the cultural shifts that may occur during this revolution, and the current demographics. “Statistics would say that about one-third of the population right now has digital assistants. That number should be above 50 percent next year,” Olsavsky said after surveying the room on how many in attendance currently have an Alexa. Olsavsky explained that to propel the use of technology in the home, there are certain things buyers want. “[Digital assistants are] getting good adoption, and that’s what’s key here. It has to be enticing and useful for consumers or it will be considered a toy,” he said. Jerome Pesenti, VP of AI at Facebook, presented a keynote address breaking down the various ways the company integrates the use of artificial intelligence to simplify the use of its platform. “I think there’s a lot of hype around AI – a lot of buzz, a lot of fear – but actually there are concrete things that companies do [with it]. AI is really at the core of what Facebook does, but it may not be evident in what we do,” he said. 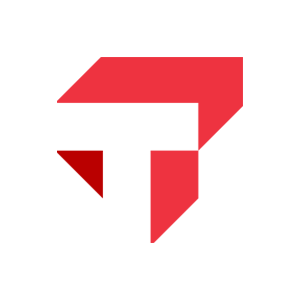 Throughout his presentation, he spoke to how AI is used to optimize the value of the platform, like creating automatic translations between languages or social recommendations. Following Pesenti’s keynote was a panel discussing the future of artificial intelligence. Laurence Ales, Associate Professor of Economics, moderated the panel, which had Alexander Gray (CS 2003), Vice-President of AI Science at IBM; Henny Admoni, Assistant Professor of the Robotics Institute and Director of the Human and Robot Partners (HARP) Lab; Justine Cassell, Professor and Associate Dean for Technology Strategy and Impact for the School of Computer Science; and Param Vir Singh, Carnegie Bosch Associate Professor of Business Technologies. 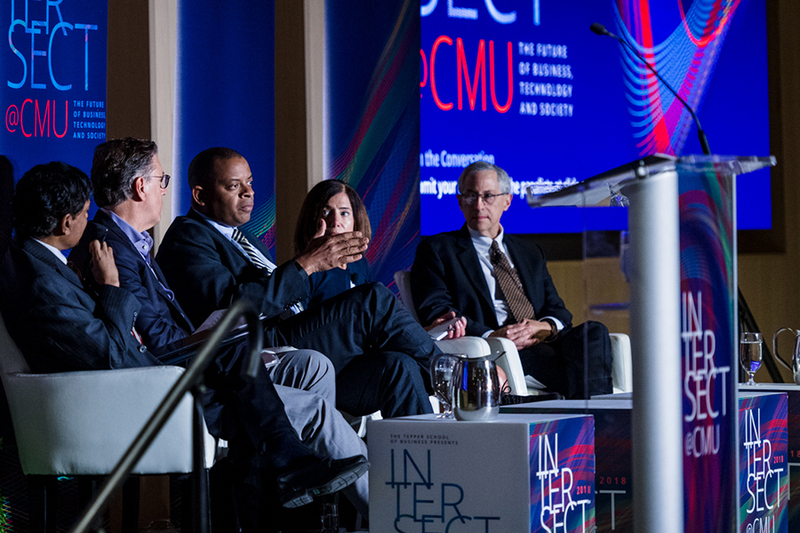 These technologists discussed how artificial intelligence could shape the future and how engineers, business and public policy leaders can adjust. “I think we’re beginning to appreciate as a society, and some people have been saying this for a very long time, that it’s critical that as computer scientists and as business people, we understand the impact of our technology going forward,” Admoni said. To close out the day, Kris Kersey (DC 1989, HNZ 2001), the Blockchain Director Lead of Emerging Technology at PricewaterhouseCoopers, moderated a panel discussing the disruptive potential of blockchain. On the panel were: Dave Passavant (MBA 2009) CEO of numo LLC; Nicolas Christin, Associate Research Professor in the School of Computer Science; Ariel Zetlin-Jones, Associate Professor of Economics; Liliana Reasor (MSCF 2004), CEO of Suprafin; and Betsy Waters, Senior Account Manager of Customer Success at Ripple. This panel provided the audience with an understanding of how blockchain has created a new system of which business can be conducted. Waters applied her own experiences at Ripple to explain the challenges behind the adoption of blockchain. If you missed INTERSECT@CMU, or would like to relive the conference, you can view the livestream hosted by Poets&Quants. This stream also features conversations with panelists, professors, and students between panels. Part One, Part Two.